A few months ago I returned to Auckland from a five week stint in Bangkok. I decided to head to my beloved Thai capital after a few months in the European winter, which was driving me nuts. I finally understand why Southeast Asia is full of Europeans in December and why they’re all so happy. And then lots of other questions, like where do I live, and who do I eat lunch with, and all that other stuff. These mini stints in different cities are akin to Mini Retirements – a concept I’ve written about before. I discussed most of the common questions in that guide, but I guess if you’re new to the road it can be hard to visualise how it all comes together. So let me show how it all worked in Bangkok. I’ve been to Bangkok four or five times now, so it’s not new to me. I generally know which areas I want to live in, where to go once I land at the airport, places I like to eat and so on. So things were smooth and I was settled in a week or so. I stayed at the Cazz hostel for the first few days, which is reasonably far down the Sukhumvit line (Sukhumvit is kind of a snazzier central area of Bangkok, lots of malls and hotels and stuff). Since I was quite far down Sukhumvit, there weren’t too many tourists, maybe a few expats, it was pretty chilled out. It was 250 baht per night (about 7 bucks), so there wasn’t a rush to find an apartment or anything, I could’ve stayed there as long as I needed to without worrying about cash. There’s a whole bunch of ways you can find apartments overseas, by using Google, Airbnb, tweet some people, ask the people at your hostel and others. 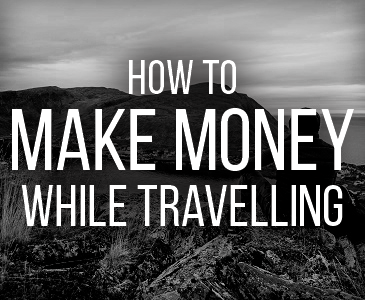 I talk about this process at length in my guide Triple Your Travel. Haven’t used Airbnb yet? You can get $25 free credit using this link. After messaging with a dozen or so different condos I finally found one I liked. I viewed it in the morning and moved in the next day. 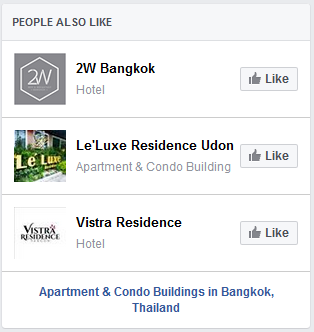 When I think about it now, I actually made contact, arranged the viewing and stayed in touch with my landlord my whole time in Bangkok just using Facebook chat. So it was all really easy. I stayed in the Thong Lor area, which is kind of a uppity expat area, and my condo was 16,000 baht for a month ($440). That’s actually pretty expensive for Bangkok. Because I was on a one-month rate, it had quite a bump to it. 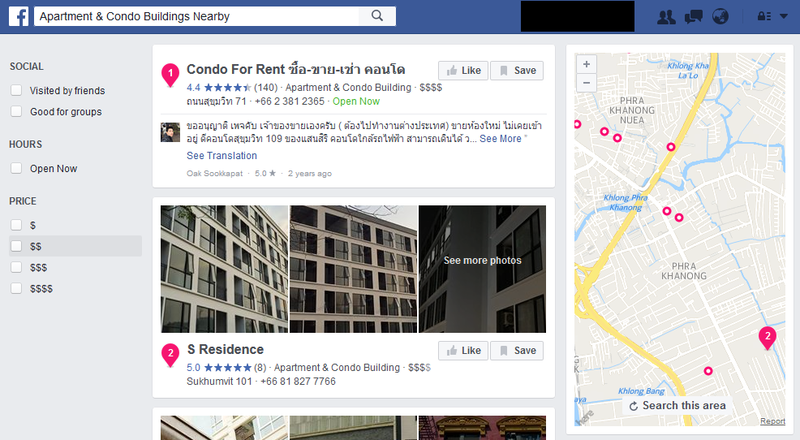 If I had signed a 3-6 month lease, it would’ve been closer to 10,000 baht ($275) per month. It was pretty basic, had a little kitchen with a small stove, microwave, fridge, hot water and wifi (no oven or dishwasher). It also had cable TV and a tiny gym, if that matters to you. Another cool thing about Bangkok is it’s all really straightforward, I just showed up with a big roll of cash (16,000 baht rent, 16,000 baht deposit) and gave it to her and she gave me the keys. It was particularly funny for me because half my hostel mates in Berlin a week earlier were all looking for apartments, and the landlords were all requesting interviews and police records and stuff. Some of them had been looking for months and were interviewing with three different landlords a day. It was literally taking over their lives. I didn’t dare tell them I’d found myself a pad within seven days of landing in Thailand. 2:00 Go eat some noodles (60 baht/$1.70). Read a little. Procrastinate. 3:00 Go to a coffee shop (usually Domus Bakery & Cafe) and work. Usually I’ll get a matcha (65 baht/$1.80) and sometimes I’ll eat dinner there too if I’m hungry (95 baht/$2.60). 7:00 Domus closes. Go to Dala Thonglor and get a massage (249 baht/$7). No website to show you, but it’s on Sukhumvit Soi 55 somewhere. 8:30 Go to Soi 38 street food, eat dinner (150-ish baht/$4). 9:30 Go home, work or read. Sleep whenever. And that was pretty much life in Bangkok for a month. #Bangkok is sick because there’s always cheap food, everywhere, anytime. This joint is down the road from my place and I hit it up every couple of days before I start working. They got them sour green chilis which are just akfbei°h^¢G_iggl!!! Sometimes I would go to the Couchsurfing meeting on Wednesdays, I met some other expats there and hung out with them quite a lot. They also knew about some other expat parties which we went to on the weekends. But quite often I would also eat alone or just walk around alone. I spent a few nights down at Q23 Academy which is a martial arts gym in Nana. I didn’t really get to spend any significant time there but if I were staying in town longer I would’ve joined and been a regular there. When the UFC was on I’d head down to The Sportsman to watch the fights. Because I was on a tourist visa I had to extend it beyond the given 30 days, it was pretty straightforward – I followed this guide by my buddy James at Nomadic Notes. Grocery shopping is really easy and there are supermarkets everywhere. For things like fruit I would just buy it on the roadside, for things like milk and eggs I would get it from 7 Eleven, and anything western I would need I would buy from the Villa Market not far from my place. Unless you were buying something crazy like Angus beef, nothing was expensive. To get around I either walked or used the Skytrain. The Skytrain costs around 15-45THB (45 cents to $1.50) one way. I also used Uber quite often at night, as Bangkok taxi drivers can be a pain to deal with sometimes. Haven’t tried Uber yet? Get your first ride free with this link. For my cellphone, I just headed to an AIS store and got set up for the month with a sim card. Took around ten minutes and was really easy. From memory it cost around 400 THB ($11). That’s pretty much all the housekeeping I can think of – if I’ve missed anything let me know in the comments! 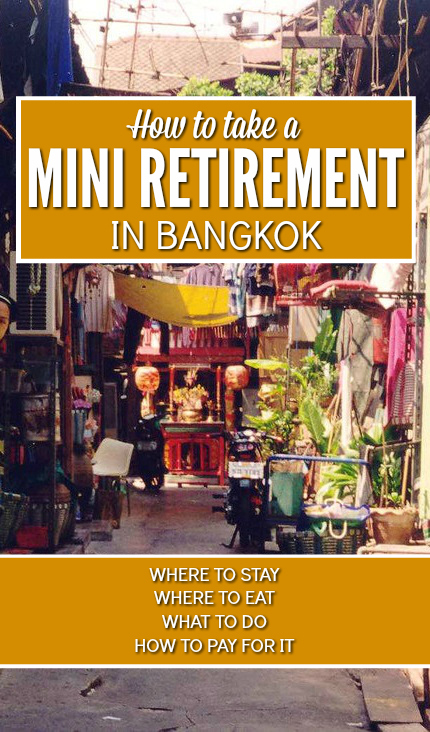 What else can you do during a Mini Retirement in Bangkok? Why not learn another language? Thai is quite a unique language and not that difficult (not that I speak it well at all). Not to mention the schools will be super affordable compared to something like French or Italian. If you did an intensive course for a few months you’d be speaking and writing pretty well. I don’t have any schools to recommend, but I’m sure you’ll find one rather easily once you’re on the ground. There are countless Muay Thai gyms in Thailand and they’re usually quite affordable – maybe 3,000-4,000THB per month ($85-$115) and you can train every day. I’ve done a one month intensive camp before in the Philippines and it was one of the best experiences of my life – got in shape, learned tons, met lots of cool people, got punched in the face, punched other people in the face, but most of all it took me out of my comfort zone and pushed my limits. I’ve also had a few readers head to the same gym to do the same thing and they all loved it. Martial arts is a great way to not only physically test yourself but also mentally and spiritually. Spend a few weeks diving, get your certificate and then get a douchey GoPro and post lots of cool Instagram photos and make all your friends jealous. You can actually make a small career out of diving if you love it enough, and a lot of travellers choose Thailand as the place to get their stripes. Maybe you’ll leave Thailand a newly minted waterman? Of course you’ll need to head out of Bangkok for this. Volunteering is always a good way to get involved in the local culture and give something back to your adopted country. 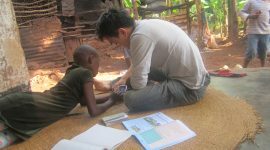 You could work with vulnerable people or communities, teach, work in animal care or conservation. My volunteering experience in Tanzania was life-changing and I’d recommend it to anyone. If this does interest you, it’s important to understand all the angles of volunteering overseas. I was quite unaware of the ethical side of volunteering when I first did it and it was quite a reality check when I had conversations with people more familiar with the subject. Shannon from A Little Adrift is active in this community and has a great website called Grassroots Volunteering – committed to providing ethical volunteering opportunities. Check it out. Add a new qualification to your name with a TEFL certificate, and then get some experience teaching English to young (or old) Thais. You can get a TEFL certificate on your own and then look for your own placement, or you can have it all organised through an agency like STA Travel. Adding a few new career options to your life is never a bad thing! If you don’t have a business to work on, start one! Bangkok would be the ideal place to start a freelancing business or a blog. You could spend half your time reading books and learning the trade, the other half building your new empire. All you need is a laptop. There are also a lot of co-working spaces in Bangkok where you could network with other expats and creatives – 63 Bangkok is my favourite. 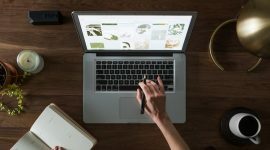 If you’re interested in starting a blog but don’t know where to start, I have an in-depth guide to getting started here. If you’re interested in learning how to monetise a blog, I have another in-depth guide to doing that here. If you’re interested in starting a freelance career but don’t know where to start, I also have an in-depth guide to getting started here. 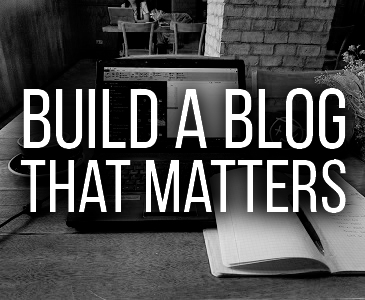 If you want to learn how to build websites that produce income, I have an in-depth guide for that too. These are all just ideas off the top of my head. You can spend your Mini Retirement doing whatever you want. Start a t-shirt company, become a yoga teacher, take cooking classes, learn how to do Thai massage (aka torture), record your first album, learn to dance. Your only limit is your imagination. 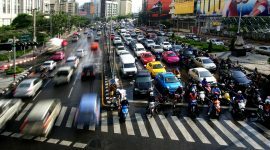 While this post details my own experience in Bangkok, you can transfer the ideas and the concept to anywhere in the world. If Bangkok isn’t your kind of place, go to another city in Thailand, or go to Greece or Italy or Argentina. The same ideas apply. For information on the practical side of things, check out my post How To Take Your First Mini Retirement. It discusses things like what to do with your career, how to finance your Mini Retirement, more ideas on things to do, and a more detailed explanation of the concept itself. 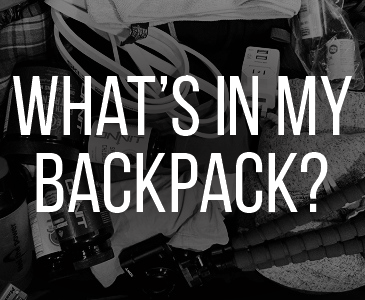 If you’ve got questions, that post should answer them. Very inspirational morning read. I really enjoyed your concise style and efficiency in delivering information in a very readable manner. I’ll be working my way thru your blog for sure.